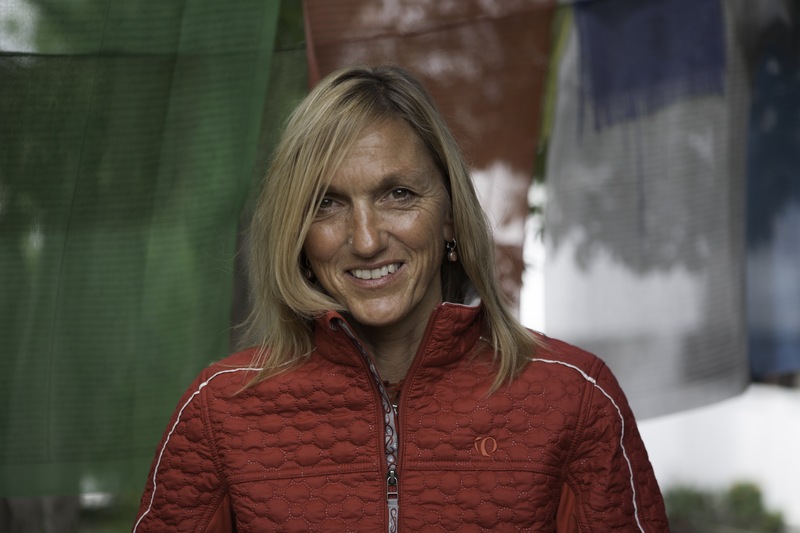 For years, Liz Hawley’s unmistakable sky-blue VW Beetle was a familiar sight in the bustling streets of Kathmandu during the climbing season. 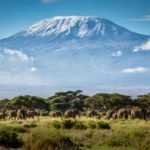 In it, she chased expedition teams in their hotels, upon their arrival but mainly when they returned from the mountains. Some were glad to see her, like a comforting ending-ritual to a climbing adventure, while others dreaded the petite, aging woman and her probing questions more than the climb itself. But no one would refuse to submit to the interrogation because if your climb was not included in Miss Hawley’s files, it had simply not happened. The only worse scenario was if she judged your summit “disputed”. Elizabeth Hawley — born in Chicago in 1923, 30 years before her good friend Ed Hillary summited Everest –- passed away in January this year. Thankfully, her legacy of summit statistics outlives her. A handful of collaborators, including Richard Salisbury at the Himalayan Database, continues her work, despite financial shortfalls and the challenge of a spiraling number of climbers flocking to Nepal. Recently, ExWeb spoke with Hawley’s closest collaborator and, according to most, her real successor: Billi Bierling. 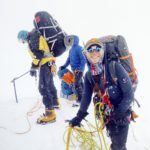 The main difference between the two ladies is that while the late Himalayan Chronicler never set foot on a mountain, Bierling is herself a seasoned climber. 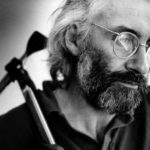 Otherwise, both are bound by a love for adventure journalism, especially the accounts of climbing the Nepalese giants –- as long as they are accurate and true. ExWeb: How did you start working with Elizabeth Hawley? In October 2004, I went to Nepal and told her that I’d like to help her for a season or two. But then I just got stuck –- she wouldn’t let me go! I haven’t missed a season since. I’m based in Nepal for six months a year. The rest of the time, I travel around the world: Currently, I am working for the UN in Kiev [Ukraine], but my background is as a journalist. ExWeb: How did you two first meet? Well, I started climbing in the Himalaya in 1998. 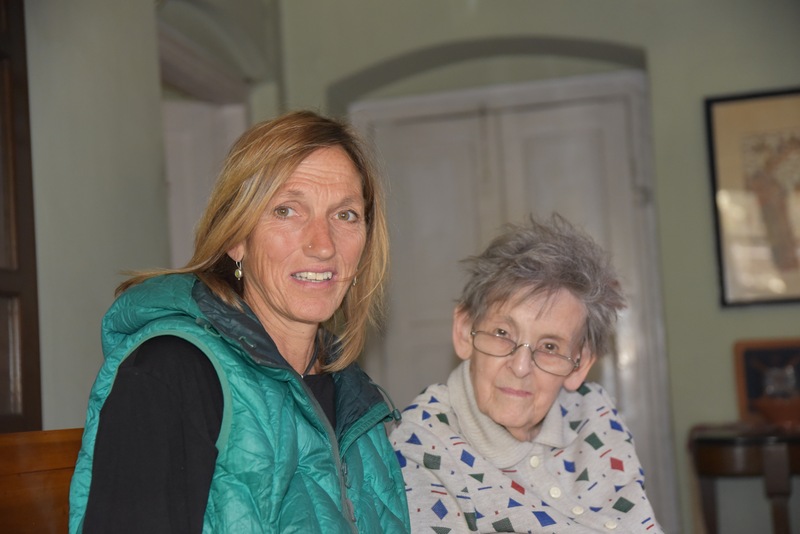 Then in 2001, my partner and I were going to climb Baruntse, and we were told that Liz Hawley was coming to see us. I was surprised when my partner, Mike, got so excited about it. I was like, “Who is she? Never heard of her.” Next year, Mike and I split up, and I was living in Switzerland but wanted to move to Nepal. But, of course, what to do there? Then I remembered this lady, so I wrote her a letter asking if she needed help. That was the beginning. ExWeb: What was working for Liz Hawley like? Miss Hawley wasn’t exactly an easy person to work for. She was very tough and demanding. Nevertheless, she was also an amazing woman from whom I learnt so much. She never climbed a mountain but had an incredible capacity to visualize mountains and routes through her questions -– much better that I! ExWeb: Eventually, you took over? She actually stopped interviewing climbers by 2016. Her mind started to go blank in the middle of interviews. She was very pragmatic and decided that she could no longer do it, so she handed it over to me. Some people say that I am Hawley’s successor, but in fact, I see myself as part of a team. 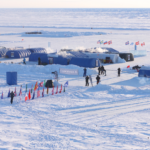 There are four of us data collectors: myself, Rodolphe Popier from France, Tobias Pantel from Germany and Jeevan Shrestha from Nepal, who worked with Miss Hawley longer than I. And of course, there’s Richard Salisbury, the founder of the Himalayan Database. He looks after digitalizing the data. It was first published in 2004, after 10 years of data entry. ExWeb: Are you sticking to Hawley’s methods, or have you introduced new data or tactics? Until now, we’ve done basically the same, although we may update some questions in future. 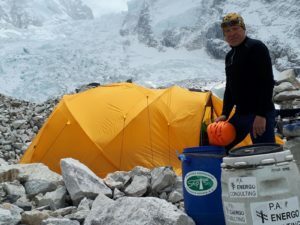 Details on partial climbs to altitude camps are not so crucial now as they used to be for common peaks like Everest or Manaslu. 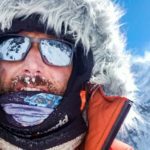 Most of all, more and more expeditions are coming to Nepal, and it’s impossible to speak to them all. Back when I started, I’d get upset if I missed interviewing someone. We now have an online form that we send to those we could not interview personally. Then our work is based on trust. We are a database, not a certifying body. I do not like to judge. Miss Hawley felt the same and never intended to become one. Also, most people tell the truth, generally speaking. 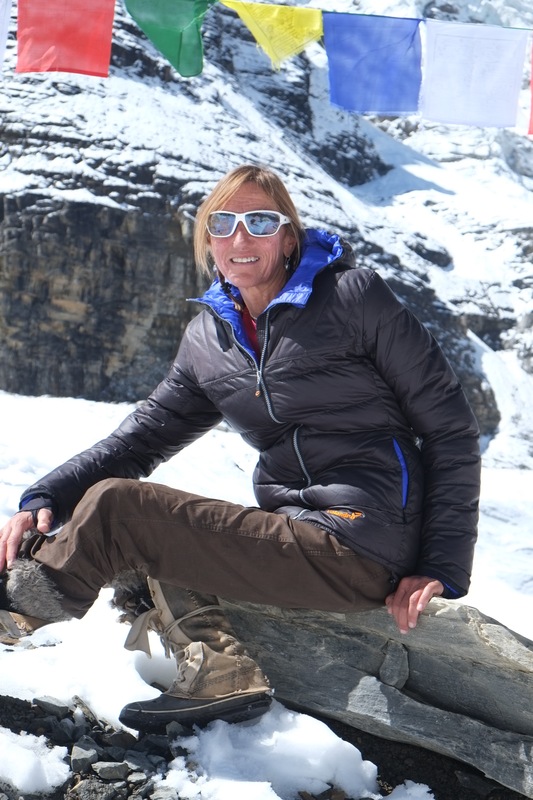 Many have asked me whether Ueli Steck really summited Annapurna, and the honest answer is that I don’t know, because I was not there –- but I believed him, and so did Miss Hawley. 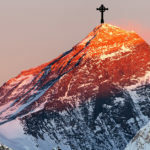 There’s likewise been a huge controversy about Spaniard Kilian Jornet and his claims of a double speed ascent of Everest. 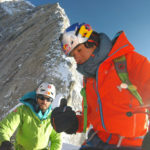 I have spoken to many climbers who were on the mountain, and they all said that they had seen Kilian moving up and down and that they totally believed anything he said. And I trust those guys as mountaineers enough to take their word for good. But if someone wants to lie, they can. Pictures and tracks are easy to forge. Of course, if I see something fishy in the interview, I’ll ask for pictures and try to compare information by asking other teams who were on the mountain at the same time. 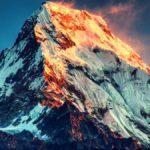 If these teams provide solid evidence to counter the first climber’s summit claims, that person will be informed and he or she will get a “disputed” summit entry on the Himalayan Database. ExWeb: What I find surprising is why you need to chase anyone or send forms. Everyone wants their climb on the Himalayan Database, don’t they? Well, we sort of spoiled climbers, because Liz would always go and visit them, so they expect us to do the same. We are trying to change this and to convince climbers, especially the younger ones, to get in touch with us. Some of them have never heard of Miss Hawley. 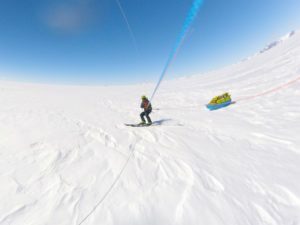 ExWeb: Have you noticed any new trends in high-altitude climbing? Well, the main traffic is still coming to the 8000’ers: Everest in spring and Manaslu in autumn. When I started in 2004, there were the hard-core, proper mountaineers, some of them trying to complete the 14 x 8000’ers. Now, people climb Everest, then go to Lhotse “because it’s next door”. After they climb three or four 8000’ers, they decide to do them all, including K2 and some other totally crazy peaks I wouldn’t even dare to come near –- but now they are so heavily supported! 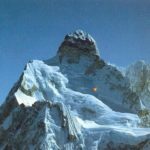 Until recently, K2 or Kangchenjunga were never climbed with high-altitude Sherpas or fixed ropes all the way, and now they are. That’s the major change I’ve seen. It’s not only Everest that is commercialized, but many other 8000’ers, because of these people deciding to go for all 14 of them. As for new mountains, I am happy to say that in autumn 2018, there were a lot of climbers opening routes and doing the first ascents of unclimbed peaks, which I think is great. Real mountaineers have realized that traffic on 8000’ers is crazy and are looking for new routes on 7000’ers in areas such as Rolwaling and Langtang. This is a great development, I love it! It’s refreshing after all the Manaslus and the Everests, and some smaller mountains such as Ama Dablam. ExWeb: What about the stories behind the dry statistics, specifically on “disputed” summits. Don’t you want to know more sometimes? Yes… not associated with the Himalayan Database, but as an independent journalist. That’s why I prefer to meet the climbers rather than sending them the form. It is amazing what you can find out during a face-to-face interview. ExWeb: In the end, the main question is, why cheat? Maybe is there’s so much pressure around them, maybe because of the sponsors. The fact is, some do lie. ExWeb: Are honest mistakes possible? 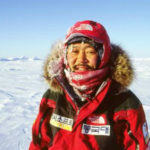 For instance, Luo Jing of China, whose team claimed that she had completed the 14 x 8000’ers, admitted on her own that she hadn’t reached Shishapangma’s main summit. 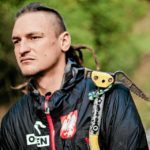 I do not know the details of that climb, because we only cover Nepal’s mountains, but indeed, there are climbers who really think they’ve summited and they haven’t. That’s very common on Manaslu, for instance. I wonder how many people have actually reached the real summit of Manaslu. Two years ago, many teams reached what seemed to be the summit, and later it came out that they had stopped short of the real top. There were five real summits against hundreds of claims. And some were really upset when they only found this out back in Kathmandu! Those people were not lying, they were mistaken. 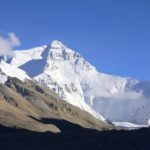 Mountaineers must do their research and find out where the real summit is, but so often they rely on Sherpas or mates or other teams instead. They feel they’ve paid for their guides to lead them to the finish line. While the Himalayan Database is a highly valuable source of information and is downloadable for free(! ), it only includes peaks located in Nepal. Data on Shishapangma or Pakistan’s 8000’ers are not included. Eberhard Jurgalsky of Germany has tried to fill this gap, originally supported by a database compiled by Xabier Eguskitza of Spain. He then added his own entries for decades. 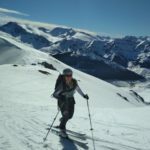 His database includes detailed lists and tables, including summits on all 8000’ers, first ascents, anniversaries and rankings by gender, date, nationality, etc. Stats on his website, 8000ers.com, have not been updated since 2016, but Eberhard may provide statistical information for a fee. From Brazil, Rodrigo Granzotto Peron has complete tables on 8000’ers, 7000’ers, Pakistan spires, the former Snow Leopard listers in Central Asia, and so on. 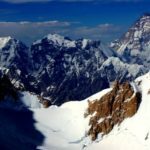 Granzotto likewise told ExplorersWeb that his work is getting harder every year because of increasing numbers of climbers and the need to double-check facts after not-so-clear claims. 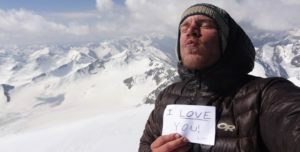 On the other hand, he reckoned that social media is making it easier to contact climbing teams. 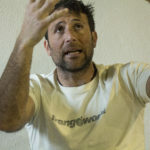 3 Comments on "Summits and Lies: Interview with Billi Bierling, Liz Hawley’s Successor"
our friend Rodolphe wrote a brilliant piece in VERTICAL, “deconstructing” Ueli Steck’s claim and showing that he could not have possibly summited Annapurna, or I’m I wrong? 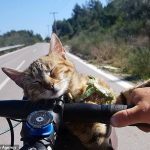 Awesome Article and Awesome Billi ! !